Apple and HBO recently inked a deal that will see Apple becoming the exclusive launch partner for HBO's upcoming "HBO Now" web-based streaming service, and in an interview with CNBC, HBO CEO Richard Plepler explained why the company chose to partner Apple. Well, listen. They're obviously an extraordinary company with a wide range of devices, and those devices are proliferating throughout the consumer base. But also, as we look at HBO GO, which is our streaming service tethered to distributors, we saw about 60 percent usage on Apple devices so it made perfect sense for us to work with Apple introducing HBO Now. 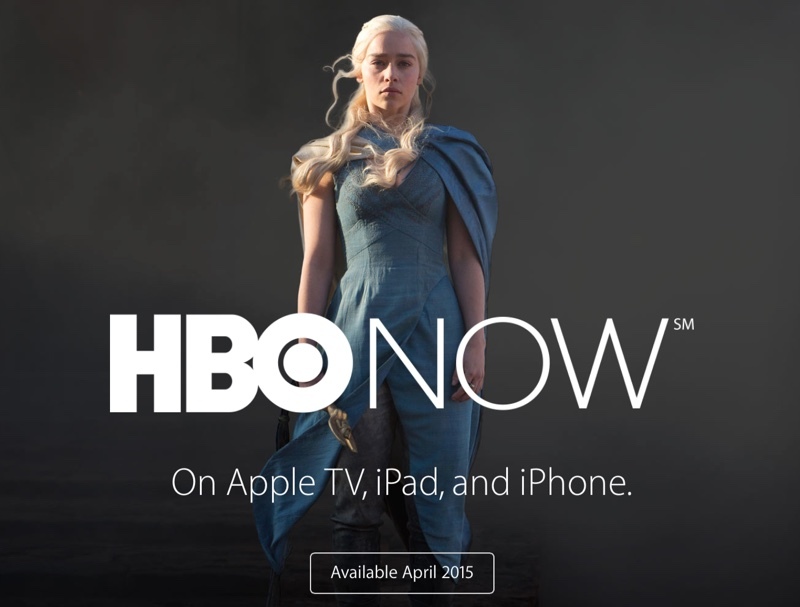 HBO Now differs from HBO GO because it does not require a cable subscription for access. Instead, all of HBO's content, including TV shows, movies, documentaries, and more, is available to customers for $14.99 per month. Launching in time for the Game of Thrones premiere in April, HBO NOW will be exclusively available on the Apple TV and Apple devices for the first three months of its life. Once that three month period has expired, HBO will bring the service to other platforms as well. Plepler expects HBO NOW will be popular with millennials, calling it a "millennial missile," and he doesn't believe the price, which is higher than other services like Netflix, will turn customers away. "We think we have a premium product," he said. "We have extraordinary content ... and it's the price of a movie ticket and a bucket of popcorn." Apple may be planning to launch its new service in June, at this year's Worldwide Developers Conference, possibly alongside a revamped set-top box. HBO NOW is ridiculously overpriced. No it isn't. DirecTV charges $15 for HBO. HBO Now costs the same. Some providers even charge more than $15. "We have extraordinary content ... and it's the price of a movie ticket and a bucket of popcorn." Where I live (So Cal), a movie ticket and a bucket of popcorn is 22 damn dollars! Than you just don't appreciate the content. I believe it's worth it for the documentaries and it's exclusive television programming alone. Not to mention, Tonight with John Oliver and Real Time and HBO Boxing. Just hope that Verizon, AT&T, and Comcast won't throttle it to death. when I had cable (three years ago) they were asking $10 per month extra to add HBO and I thought it was too expensive and never added it. Now they are asking $15? Netflix/Hulu are $8 and have a wider library. Bad comparison. They're asking $15, and that's it. To get it through cable/satellite you need a basic package (at least $50), plus the $10. In addition, if you want to view the content at a latter date you have to buy/rent a DVR. In addition, you might have to pay for installation, be under a 2yr contract and so on. The amortization for the service is completely different. I have a feeling that ISPs will simply jack up the basic price of broadband to make up for the lost cable revenue. FINALLY I don't need a dang cable company! I just cxld Comcast last week too!! Actually, HBO Now is the reason why I cut off Comcast! It is actually not. Cable TV charges you $19.99 for HBO Go. If you have a promotion you can get it for $9.99 through Cable, but that will expire at some point. For $15/month, I rather deal with the hassle of downloading/streaming for FREE. Learn to what? Lose money? HBO spends a ton on making quality shows and they have to make a profit. When will whiny, entitled torrenters learn not to steal?